The ever-increasing population growth in Jakarta has led to a scarcity of land in almost every part of the city, be it in North, South, West or East Jakarta. Indonesia has the best green building in Asia! The design is in the spirit of the Banyan tree. FARPOINT is honoured to receive the Asia Pacific Property Awards in the Best Mixed-Use Architecture category for project The Hundred. “Most of the luxury houses were mostly built several decades ago when land prices were still relatively low. But the land prices keep increasing, said the Research Head of Central Board of Real Estate Indonesia (DPP REI), Handa Sulaiman. You have to spend billions of rupiah in order to build such a large and luxurious house in those areas if you are lucky to get land in the locations, explained Handa, who is also Advisor at Jakarta Property Institute. The prices of luxury landed houses in the popular and prestigious locations are varied, depending on the location. But the prices of landed houses are mostly over Rp 10 billion. In Kuningan and Menteng, unit of a reasonably small house is priced at about Rp 20 billion to Rp 50 billion or even more for a bigger house. You may be able find a reasonably sized house priced at Rp 20 billion, which is relatively low but still above Rp 10 billion. So with Rp 10 billion, the best home you can choose will most likely be an apartment. But one must ask questions over the apartment complex, its location and facilities and how it benefits residents. Look no further than VERDE TWO, located in the Kuningan Central Business District (CBD) in South Jakarta, an increasingly popular location thanks to its easy access to upscale dining, offices and lifestyle outlets the city offers. Developed by FARPOINT, this apartment, which is in the center of Kuningan CBD, provides 25 kinds of five-star lifestyle amenities, unlike your average luxury home where such facilities are typically not part of your home deal. The grounds and rooftop are fully decked with over 6,000 square meters of exclusive indoor and outdoor lifestyle amenities, including health clubs with studio classes, a sky and gaming lounge, kid’s playroom, gentlemens parlor, theater room, function room and chefs kitchen lounge. With land in Kuningan CBD increasingly scarce, the land price in the area is fantastically high and so VERDE TWO, with its five-star amenities, offers many advantages, one of which is an apartment with a high asset value. With such amenities available, residents can take advantage of them within comfortable reach, allowing for more time spent with the family, which incrementally boosts well-being. On top of that, VERDE TWO will provide you with peace of mind as household affairs like cleaning and security are carried out by the management. For Rp 10 billion, you can live in VERDE TWO, the price of which is comparable to that of a luxury landed house in other locations. 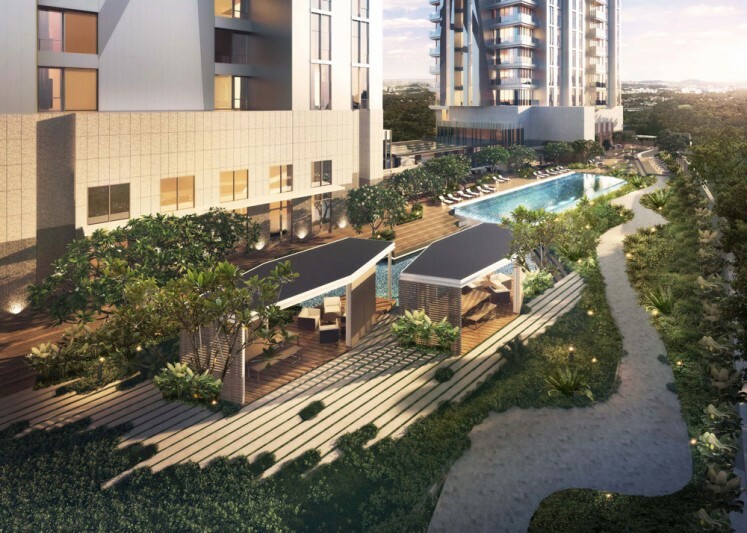 By living in VERDE TWO, you would be living in a 200-square-meter luxury home with an additional thousands of square meters worth of facilities. This may be equal to a Rp 30 billion investment. Sequis Tower, a premium development by FARPOINT wins “Best Green Development” in the grand finale of The PropertyGuru Asia Property Awards 2017 held at the Sands Expo and Convention Center, Singapore. The eco-friendly feature and design has brought recognition for Sequis Tower as the best green development in Asia, surpassing 7 other Asian countries. This regional recognition strengthens the presence of FARPOINT as one of Indonesian developers who continuously strives to present a sustainable development with international standards in the midst of Jakarta’s density. The innovative award-winning architectural design of Sequis Tower is a result of world-class collaboration with one of the world’s prominent New York based architecture firms, Kohn Pederson Fox Associates (KPF). A gradation of fins and panels is arrayed across the tower’s curtain wall, optimized on each side to compensate for façade-specific solar radiation levels. Like the Banyan tree, at the ground the project is composed of a series of finely scaled elements that rise upwards, culminating in a magnificent tower and shade. The development also employs locally sourced materials, high efficiency systems, native vegetation used for landscaping and roof gardens, and storm water retention systems on site. Aside of its design, Sequis Tower won the Best Green Development for its concern toward protecting the environment. Some of the features that have become considerations are the recycled materials, double Glaze Glass and low E, LED lightings, e-circulated water system and native vegetation in the open area of Sequis Tower. Sequis Tower is also cited as Highly Commended for Best Universal Design Development category for its design and facilities which ensure the ease and comfort of diverse visitors, including elder and children. Furthermore, Sequis Tower is strategically located and well connected to public transportation, especially Mass Rapid Transit (MRT). Prior celebrating its topping off in May 2017, we will will see one of the first Leadership in Energy and Environmental Design (LEED) Platinum project ready for operational in SCBD, Jakarta starting July 2018. The award is said to be the most acclaimed industry award throughout the region, judged by an independent panel of 70 industry experts. The judging focuses on design, quality, service, innovation, originality, and commitment to sustainability. Previously in 2014, FARPOINT has also received recognition from Asia Pacific Property Awards in Residential High-Rise Architecture Indonesia category for VERDE Two.